Luxury car maker Ferrari made its IPO debut at the New York Stock Exchange. camera (Venturelli/Getty Images) Piero Ferrari, son of Ferrari founder Enzo Ferrari attends the 'Museo Casa Enzo Ferrari Opening Press Preview,' March 9, 2012 in Modena, Italy. Helping ring the bell at Ferrari's debut at the New York Stock Exchange today was one member of the historic car family who is now a billionaire. Piero Ferrari, 70, is the only living child of Enzo Ferrari, a race car driver who would become a legendary Italian automobile maker. Piero's 10 percent stake in Ferrari means that he's worth about $1 billion, now that the company's IPO is valued at nearly $10 billion. Shares of the company spiked in today's market debut, trading around $56 a share mid-day after it was priced at $52 a share. But Piero wasn't always entitled to the Ferrari family name. The elder Ferrari began work on designing the first Ferrari car in late 1945. Drama, tragedy and war followed the family's successes. In 1916, Enzo's father and brother Alfredo died in the same year. 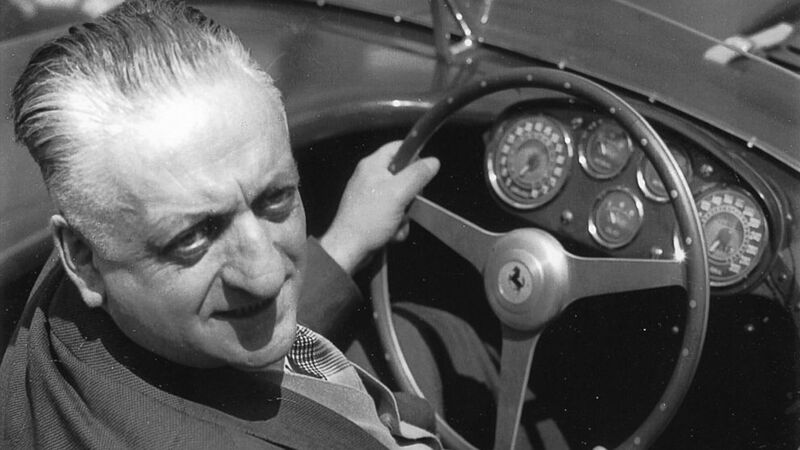 Enzo Ferrari was forced to give up his studies after his father's death and work as a machinery instructor. The next year, he became injured while serving in World War I and was honorably discharged, according to the Ferrari website. Enzo's career in racing then came to an end with the impending birth of his son Alfredo, known as Dino, in 1932. 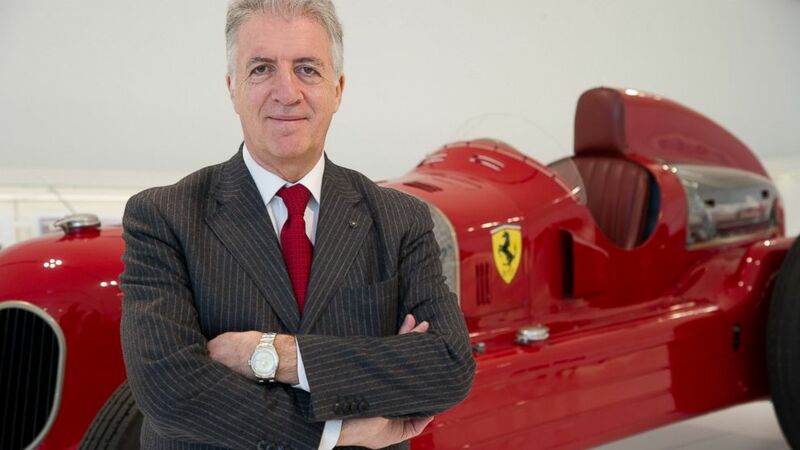 A half-brother, Piero Ferrari, was born in 1945 to Enzo's mistress Lina Lardi. During World War II, Ferrari's factory in Maranello, Italy, is bombed twice, but rebuilt. That doesn't stop the company from building a car with a V12 engine. (Getty Images) Enzo Ferrari is pictured in this undated file photo. Tragedy hit again in 1956 when Alfredo died of muscular dystrophy. "Ferrari had kept his son involved in the design of a new 1500 cc V6 until the very end of his life," the Ferrari website states. "The engine finally debuts 10 months after Dino’s death. However, it and all Ferrari V6 engines are named in his honor." (Getty Images) Enzo Ferrari sits at his office in 1985 in Maranello, Italy. When Enzo's wife Laura died in 1978, Piero, who had worked for the car company, was finally recognized as a member of the Ferrari family. Divorce wasn't legalized until the 1970s in Italy anyhow. Regardless, Piero had senior roles in Ferrari's racing and industrial divisions. 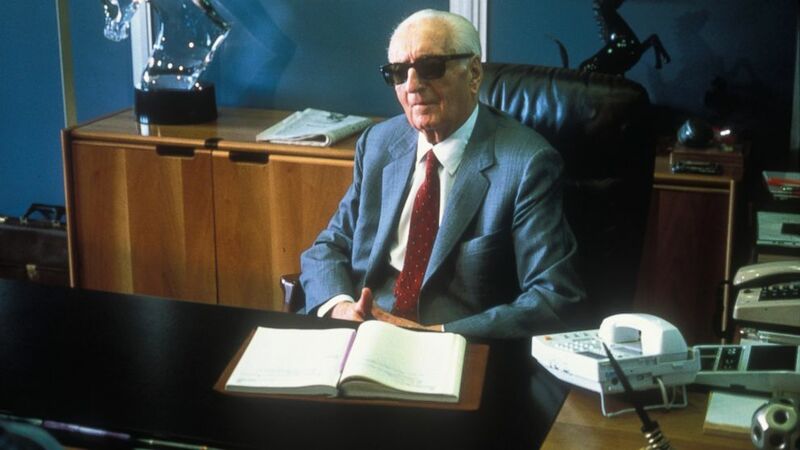 Enzo Ferrari died in 1988 at age 90, the year Piero became vice chairman. The heir to Ferrari is now estimated to be worth about $1 billion.